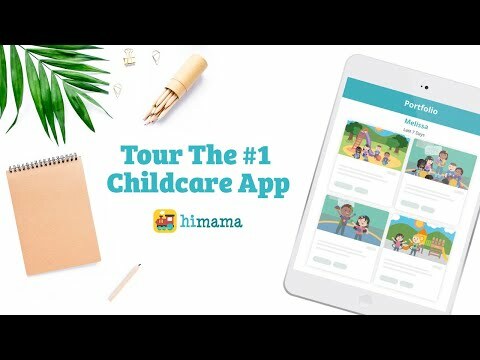 HiMama is a fun and easy-to-use app for child care and early learning programs that are tired of the same old paperwork. HiMama provides a quick and simple way to document and share children's activities, everything from funny moments to developmental achievements, to involve parents and improve learning outcomes for children. The app was designed based on extensive consultations with Early Childhood Educators, Supervisors and Directors of child care and early learning programs. As a result, the app, which is used on tablets by Educators in the classrooms, is both intuitive to use, as well as comprehensive in the features that it offers. For documentation, the app helps with recording meals, naps, behavior, and activities with the ability to add photos and videos. For parent engagement, the app allows for real-time parent communications, digital daily reports and instant messaging. For reporting, the app provides attendance reports, child portfolios, and development assessments for children's developmental progress. there are a couple of options that I wish could be a little easier, which i have noted on the advice box. HiMama has been very well received at all three of my Little Sprouts Learning Centers. Parents are thrilled to see their children interacting in class and feel reassured to see their child settled into the program just minutes after leaving the classroom. This was especially appreciated by our new parents, as well as parents whose children were starting school for the first time. Prior to HiMama, families received a monthly newsletter with photos, information on our monthly theme, reminders, birthdays and important upcoming dates. Now with a click of a button, the classroom teacher can send this information to parents anytime. The ability to keep updates current has helped parents ensure they are not missing important news, are less likely to forget upcoming events, and also allows them extra time to plan and prepare. Parents find the program extremely handy as they can speak directly to the teacher through the HiMama message system. Often times moms and dads are on the run and not always able to chat during drop off and pick up, or throughout the day. HiMama keeps everyone connected, by allowing parents to send a quick message to the classroom teacher at their convenience. Customer service at HiMama is very good and parents have found Caroline very efficient and helpful should they come across any issues. As the owner of Little Sprouts I feel the overall customer service has been excellent right from the beginning, and appreciate Ron's support in setting the system up with me back in February 2014. Areas I would like to see improved would be to have the option to send a message to a specific group of families. Currently the options are one family or the entire classroom. I would also like the option to put music to the photos so that a DVD could be created of the child's school year. Access to all the school photos would be a wonderful option as currently we have to go into each child's report to see the entire group of class photos. Although the classroom journal does show a few pictures, I would like to be able to see all of these photos as a running stream. Thank you to Ron and the staff at HiMama! You have made a wonderful difference to the parents and families at Little Sprouts, and I can't thank you enough! We tried many other reporting systems for our school to severyone and communicate with our parents but Hi Mama has been hands down our favorite and our parents love it! As a director/owner of my childcare center my personal.favorite feature is that our super odors can review each entry for each student on reports overview and see if there are excited tries missing before the report get sent out to parents. We love using the observations tools to attach skills observed to pics and videos of students to help parents know more about their child's day and what they are learning. We also use the notes section for reminders and to list a few of our Learning skills from the Daily lesson plan to keep parents informed about what lessons were taught. We love Hi Mama and we would highly recommend this to you! Reports overview feature to see all students activities in one classroom to see any missing entries. Reports overview feature to see all students activities in one classroom to see any missing entries. Benefits as a parent are stated in the Pros section above but mostly, it's having a consistent and electronic log of the days for reference (and for enjoyment with pics).I liked that we are able to receive updates throughout the day (there is the capability but teachers don't always use it) and mostly the pictures/videos! It makes you feel like you know what is really happening during the day. I also like that there is an electronic journal that you can refer back to at any time. I also like the ease of being able to communicate to the teachers through the app and that administration is able to see any of that back and forth. I liked that we are able to receive updates throughout the day (there is the capability but teachers don't always use it) and mostly the pictures/videos! It makes you feel like you know what is really happening during the day. I also like that there is an electronic journal that you can refer back to at any time. I also like the ease of being able to communicate to the teachers through the app and that administration is able to see any of that back and forth. The pictures and videos were blurry, especially when downloading. Also not sure if the videos are limited to :06 or that's just what the teachers did. I also think that the auto-population for food makes it less likely that the teachers actually update appropriately. Himama is very user friendly and makes our job easier at our daycare centre. Easier communication and connection with parents at our child care centre. It is easy to understand and use. They are constantly updating the features to make them better. The app works well on a variety of devices and the software is also quite visually bright and engaging. The customer support is wonderful, they always get back to you quickly and with comprehensive answers. It is easy to understand and use. They are constantly updating the features to make them better. The app works well on a variety of devices and the software is also quite visually bright and engaging. The customer support is wonderful, they always get back to you quickly and with comprehensive answers. If we had to pick one thing, it would be the reset time for the classes. Sometimes if children are signed out and reports sent late in the day, the next morning the class still isn't reset to start over, and then we have to manually check students back in. No hidden fees or costs. Everything is free for parents. Money-back guarantee. Document: Record photos, observations and activities on a tablet - 88% of customers say HiMama improves the quality of their programs. Report: Automatically generate attendance reports, child portfolios and developmental assessment reports - 93% of customers say HiMama saves them time on reporting. Communicate: Keep parents informed with automatic updates sent directly to their email or mobile phone - 95% of customers say HiMama fosters better communication with parents. Modernize: Intuitive to use and simple to set up, and HiMama's team is always available to help users - 92% of HiMama customers say the app is easy to use (39% consider themselves not to be "tech-savvy"). Empower: State of the art early learning tool makes educators jobs more effective and enriching - 86% of customers say HiMama empowers them in their roll. Delight: Real-time updates to parents with photos, videos and stories make for happy families - 98% of parents say HiMama adds to their overall satisfaction with their child care program. Standout: Reports and portfolios make your programming shine in the eyes of parents - 97% of customers say HiMama makes them standout from other programs. Below are some frequently asked questions for HiMama. Q. What type of pricing plans does HiMama offer? Q. Who are the typical users of HiMama? Q. What languages does HiMama support? Q. Does HiMama support mobile devices? Q. Does HiMama offer an API? No, HiMama does not have an API available. Q. What other apps does HiMama integrate with? Q. What level of support does HiMama offer? Q. Which apps is HiMama compared to most often?